If you open Google and start typing “Chinese cave gecko”, the text will auto-populate to “Chinese cave gecko for sale” – just US$150, with delivery. This extremely rare species is just one of an increasingly large number of animals being pushed to extinction in the wild by animal trafficking. 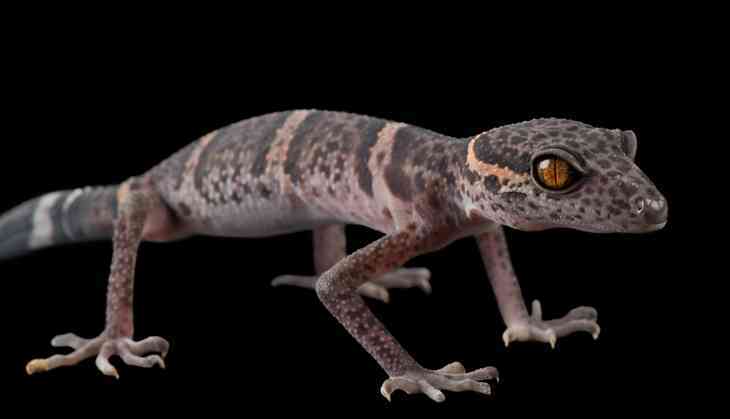 What’s shocking is that the illegal trade in Chinese cave geckoes began so soon after they were first scientifically described in the early 2000s. It’s not an isolated case; poachers are trawling scientific papers for information on the location and habits of new, rare species. As we argue in an essay published today in Science, scientists may have to rethink how much information we publicly publish. Ironically, the principles of open access and transparency have led to the creation of detailed online databases that pose a very real threat to endangered species. 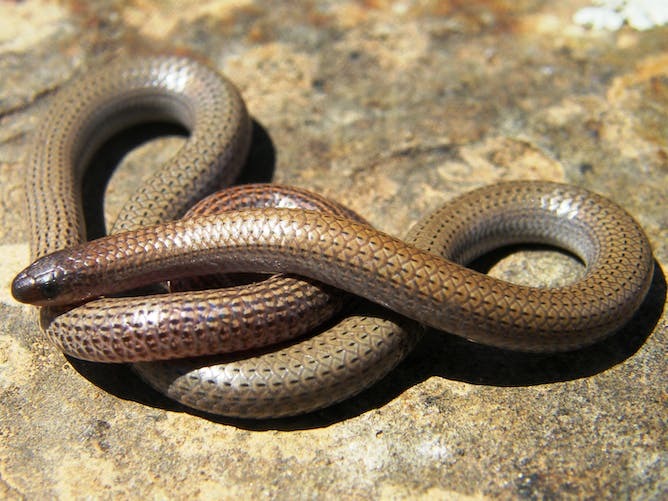 We have personally experienced this, in our research on the endangered pink-tailed worm-lizard, a startling creature that resembles a snake. Biologists working in New South Wales are required to provide location data on all species they discover during scientific surveys to an online wildlife atlas. But after we published our data, the landowners with whom we worked began to find trespassers on their properties. The interlopers had scoured online wildlife atlases. As well as putting animals at risk, this undermines vital long-term relationships between researchers and landowners. The illegal trade in wildlife has exploded online. Several recently described species have been devastated by poaching almost immediately after appearing in the scientific literature. Particularly at risk are animals with small geographic ranges and specialised habitats, which can be most easily pinpointed. Poaching isn’t the only problem that is exacerbated by unrestricted access to information on rare and endangered species. Overzealous wildlife enthusiasts are increasingly scanning scientific papers, government and NGO reports, and wildlife atlases to track down unusual species to photograph or handle. This can seriously disturb the animals, destroy specialised microhabitats, and spread disease. A striking example is the recent outbreak in Europe of a amphibian chytrid fungus, which essentially “eats” the skin of salamanders. 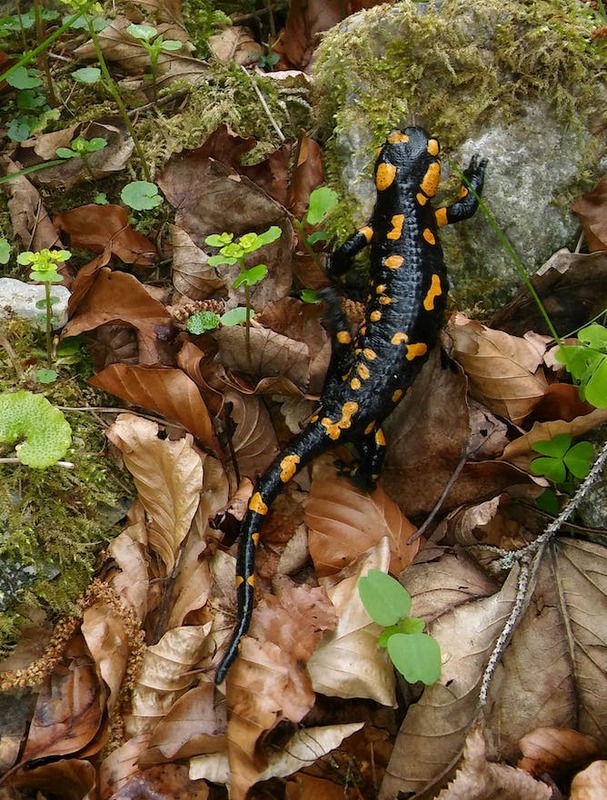 This pathogen was introduced from Asia through wildlife trade, and has already driven some fire salamander populations to extinction. In an era when poachers can arm themselves with the latest scientific data, we must urgently rethink whether it is appropriate to put detailed location and habitat information into the public domain. We argue that before publishing, scientists must ask themselves: will this information aid or harm conservation efforts? Is this species particularly vulnerable to disruption? Is it slow-growing and long-lived? Is it likely to be poached? Fortunately, this calculus will only be relevant in a few cases. Researchers might feel an intellectual passion for the least lovable subjects, but when it comes to poaching, it is generally only charismatic and attractive animals that have broad commercial appeal. But in high-risk cases, where economically valuable species lack adequate protection, scientists need to consider censoring themselves to avoid unintentionally contributing to species declines. Restricting information on rare and endangered species has trade-offs, and might inhibit some conservation efforts. Yet, much useful information can still be openly published without including specific details that could help the nefarious (or misguided) to find a vulnerable species. There are signs people are beginning to recognise this problem and adapt to it. For example, new species descriptions are now being published without location data or habitat descriptions. Biologists can take a lesson from other fields such as palaeontology, where important fossil sites are often kept secret to avoid illegal collection. Similar practices are also common in archaeology. Restricting the open publication of scientifically and socially important information brings its own challenges, and we don’t have all the answers. For example, the dilemma of organising secure databases to collate data on a global scale remains unresolved. For the most part, the move towards making research freely available is positive; encouraging collaboration and driving new discoveries. But legal or academic requirements to publish location data may be dangerously out of step with real-life risks. Biologists have a centuries-old tradition of publishing information on rare and endangered species. For much of this history it was an innocuous practice, but as the world changes, scientists must rethink old norms.